Bitrix24 is giving away Kindle Fire tablet. The rules for the contest are very simple. - what you found difficult/disliked the most (could be the existing problem or something lacking). If you liked everything, don't feel forced to come up with the problem. 3. Use 'Bitrix24 Kindle Fire Giveway' as your subject line. A special second prize Kindle Touch will be given away to a person who've used his or her Bitrix24 account in the most unorthodox way. Also, if you are a startup who'd like to use one of Bitrix24 paid plans for free, send an e-mail to the same address with 'Bitrix24 Startup Initiative' as the subject line. Include information about your startup and how you plan to use Bitrix24 for your business. This is a grand giveaway from Bitrix. Kindle is a good alternative ways to reading books. Thanks for giving us a chance to win a prize. I hope I get a chance. I love to read and I'd love to have that Kindle Fire! 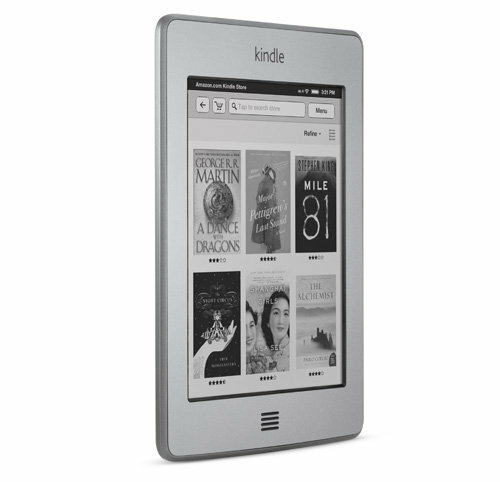 Kindle has grown to be a very useful gadget and the lucky winner would really have such a handy gadget for reading books. Bookwork here..thanks for sharing this! I will inform others who wanted a Kindle thanks for this info. Cool! This is an early Christmas gift heheheh... will try joining! !Thanks for sharing! I love reading and I would love to have this one. There are many contests but not as many great prizes. This one is great! It's really the best way to read ebooks! Good Luck. Good luck to those who join with this give-away. And congratz who could make it. i really want to have kindle wahahaha.. makes me think I am a book geek.. I saw this on TV and it is a gadget for ebook lovers.... this is a very great help if you have this... book lovers, grab it now! Not bad! Keeping my fingers crossed on this that I get it. great give away! but is this for real? great! will be joining this one. I want a kindle fire of my own, thanks for sharing. Wow! Nice giveaway. Hope I can win this. Good luck to us.